The 2011 box office was dominated by sequels with mixed legacies. Harry Potter and the Deathly Hallows Part 2 led the year with 381 million while Transformers: Dark of the Moon, The Twilight Saga: Breaking Dawn Part I, The Hangover Part II, Pirates of the Caribbean: On Stranger Tides, Fast Five, Mission: Impossible – Ghost Protocol, Cars 2 and Sherlock Holmes: A Game of Shadows made the rest of the top 9. 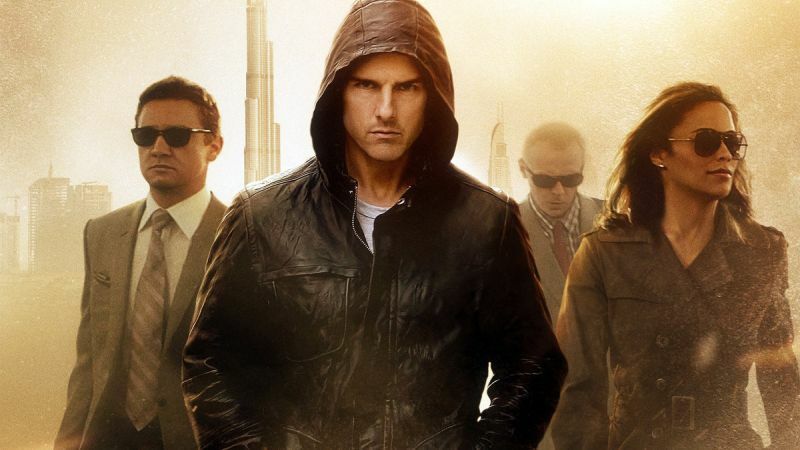 Of the group along with Potter’s final installment, Fast Five and Mission: Impossible – Ghost Protocol are remembered fondly and their franchises only continued to rise in popularity from there. Introducing The Rock brought the Fast franchise to a new level and Brad Bird’s Ghost Protocol reinvigorated the Mission: Impossible series. Most of the other sequels range from being received as average like the fourth Pirates film or second Sherlock Holmes, or flat out panned like The Hangover and Cars sequels. Cars II finally broke the streak of great reviewed films for Pixar and the mystique has never quite recovered. Two Avengers were introduced this year in Thor and Captain America: The First Avenger. Neither lit the box office on fire finishing under 185 million which shows just how far the Marvel Comic Universe has come but their word of mouth established the characters. Rise of the Planet of the Apes and X-Men: First Class both had well reviewed reboots leading to multiple sequels. Kung Fu Panda 2 was a box office disappointment dropping from the first film’s gross, Puss in Boots didn’t take off enough to launch his own franchise, Green Lantern was a flop with audiences and critics Ryan Reynolds would like you to forget. Bridesmaids and Horrible Bosses were breakout R rated comedies, while Bad Teacher also had a successful run for Cameron Diaz with over 100 million. Along with Melissa McCarthy in Bridesmaids who made the transition to film and Chris Hemsworth in Thor, two other actors who had breakout years were Michael Fassbender and Jessica Chastain. Fassbender had a great mix of a blockbuster in X-Men: First Class with acclaimed roles in smaller films in Shame, A Dangerous Method and Jane Eyre that immediately established him as a star. With The Help, The Tree of Life and Take Shelter this was the start of Chastain coming out of nowhere and then being everywhere for a few years. The Tree of Life which ranks as best of the decade level for its biggest fans led a strong year for heavy artistic dramas including Lars Von Trier’s Melancholia and Lynne Ramsey’s We Need To Talk About Kevin. The Best Picture race was over early as everyone saw Oscars embracing a silent film in The Artist coming from miles away. It won Best Picture, Director for Michael Hazanavicious and Jean Dujardin managed to overcome Brad Pitt in Moneyball and George Clooney in The Descendants late for Best Actor. Meryl Streep won her 3rd Oscar for The Iron Lady over Viola Davis in The Help which was the biggest hit with mainstream audiences of Best Picture nominees. Christopher Plummer picked up Best Supporting Actor for Beginners and Octavia Spencer took home Best Supporting Actress for The Help. After the controversy over Brett Ratner’s homophobic comments led Eddie Murphy to drop out as host, Billy Crystal returned for his first time since 2004 to a mixed response. Super 8 – A preview of 80s nostalgia that would find success with Stranger Things. Rango – Johnny Depp showed his popularity at the time helping voice a weird animated Western to over 120 million. The Girl with the Dragon Tattoo (2011) – David Fincher’s remake with Daniel Craig and Rooney Mara appropriately fit his style and earned her a Best Actress nomination. The Descendants – George Clooney and Alexander Payne hooked up for an acclaimed Hawaii set drama and was a breakout role for Shailene Woodley. Moneyball – Jonah Hill’s surprise Oscar nomination changed his career. Hugo – A unique CGI and kids friendly feature for Scorsese’s filmography was nominated for 11 Oscars including Best Picture. Friends with Benefits/No Strings Attached – Mila Kunis and Ashton Kutcher release almost the same film a few months apart. A solid year for Justin Timberlake with Friends with Benefits, Bad Teacher and In Time that hasn’t quite materialized since. The Lincoln Lawyer – The unofficial start of the McConaughssaince. Midnight in Paris – Woody Allen returned to the Best Picture lineup for what we can now assume is the last time. Scream 4 – An attempt at 90s nostalgia full out bombed. Drive – The cinematic Ryan Gosling film was the film of the year for some fans. Gosling had a quality year with this, Crazy, Stupid, Love. and the Ides of March. War Horse – A solid mid level war film by Spielberg was nominated for Best Picture. Kevin Hart: Laugh at My Pain – A solid theatrical run for his stand-up special previewed Hart blowing up.